Connor Brown’s life has turned upside down. All he wants now is a week of solitude at the Rising Tides Inn. Amy’s trying to dodge the curve balls life has thrown at her. She has no time to spare for anyone. When Connor plows into Amy’s house, he unwittingly wrecks the garden she’s toiled at for months. Neither Amy nor Connor imagine their paths will cross again. Laura’s Dream is the story of two strangers brought together by fate. They discover a new side of each other’s life every time they meet, only to find they have a lot in common. Will they take a second chance at love? Book 4 of the much loved Cape Harriet series promises clean sweet romance in a beach setting, yummy food with recipes and small town charm. Pete and Zadie Strathmore own the Rising Tides Inn and they bend over backwards to make their guests feel at home. Zadie is also something of a matchmaker. Connor Brown comes to the Rising Tides just hoping to escape his life for a while. He meets Amy when his car smashes through her gate and garden and into her house. She wants nothing to do with Connor but they just keep running into each other. Roma Brooks has given us another wonderful novella to escape into. Another one perfect for a Hallmark movie. She breathes such life into all of her characters. From the main characters to the residents of this small beach town, they are all so real. The author surprises us too with twists that take the story in different ways that you imagine with just a bit of mystery. Romance builds slowly with delightful ending. All the stories in this series can be read on their own. I recommend you read them all. I wish I could visit The Rising Tides Inn and meet Pete and Zadie. The place sounds so relaxing and the food sounds amazing!! Roughly chop 5-6 tomatoes and blend them using food processor or blender. Transfer to a bowl. Finely chop the remaining tomatoes and add to the bowl. Season the tomatoes with salt. Add minced jalapeno (per taste), cilantro and lime juice to the bowl. Add in the ground cumin and mix well. Serve with chips or as condiment with eggs, burritos, sandwiches, wraps etc. Click the covers to order from Amazon. 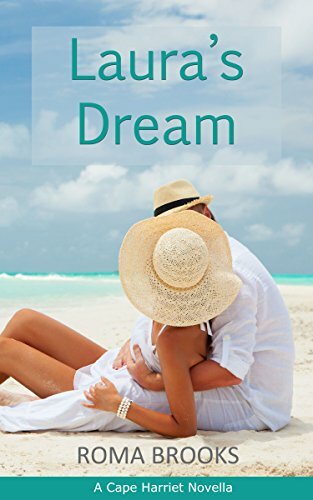 Laura’s Dream is just 99 cents! Coming April 18, 2017 – Full Length Novel. Pre-Order today just 99 cents.